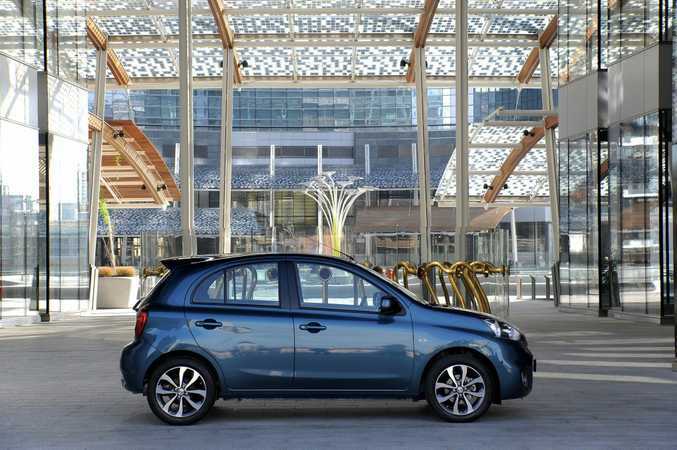 The 2015 model Nissan Micra. 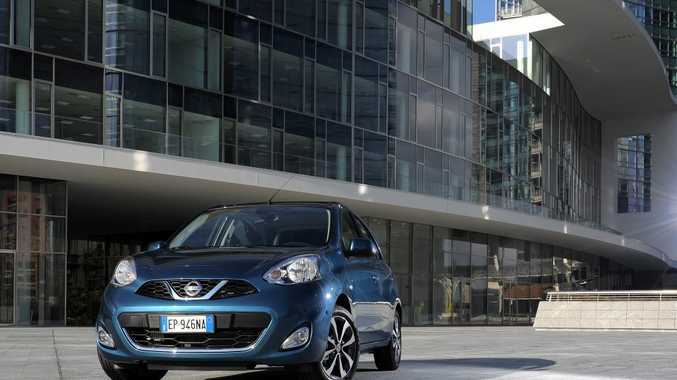 NISSAN has dropped the prices on its mid-spec and top-of-the range Micras as part of a 2015 model update. Drive-away pricing will be below $20,000 for all variants. The entry level manual ST starts from an unchanged $13,490 plus on-roads, while that base grade is now available with an automatic transmission for $15,290 plus on-roads. Now standard on Micra are cruise control, power windows, Bluetooth phone system with audio streaming and USB connectivity. Micra now available in two grades, ST and Ti. The Micra ST-L grade has been removed to simplify the range. The new-look Micra Ti adds touch screen satellite navigation, reverse camera, LED rear lights and upgraded premium cloth interior trim from the previous Ti. The Ti grade also has 15-inch alloy wheels, rear spoiler, fog lights and auto headlights. 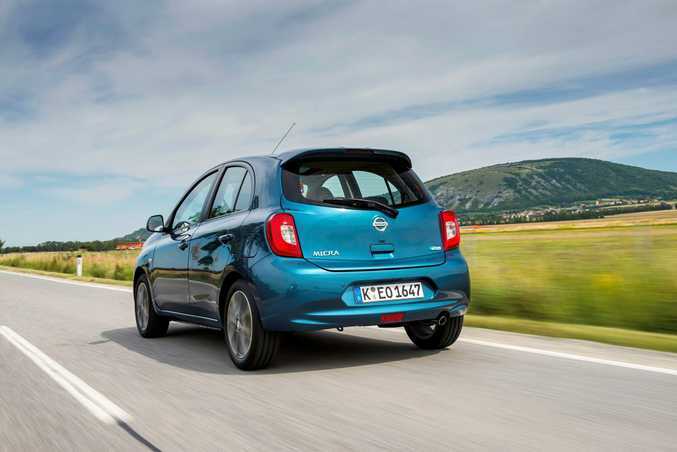 The 2015 Nissan Micra is available in Miami Blue, Berlin Blue, Boston Black, Geneva White, Monaco Platinum, Prague Nightshade and Roma Red.